Where will Austin Community College be in 2030? ACC will be among the premier colleges in the nation — a leader in closing equity gaps, increasing student completion rates, and putting students on guided pathways to reach their educational and career goals. The college’s Strategic Plan is our guide to achieve this vision. What is the Strategic Plan? Developed in collaboration with our community, ACC’s Strategic Plan ensures all areas of the college remain focused on developing strategies to reach common goals and improve student success. When our students succeed, lives improve, the workforce is stronger, and our community thrives. Increase annual unduplicated enrollment at ACC to 85,000 students by 2030 through equity focused connection and entry processes. Support all ACC students in achieving their educational goals by identifying and removing barriers. Attract a diverse student population by ensuring that marketing, recruitment, and enrollment strategies are equitable, and designed to support student access and success. Develop partnerships that provide equitable opportunities for high school students. Ensure instructional programs, academic support, and student support initiatives are designed to serve a diverse student population. Ensure accountability through active and continuous analysis of data on equity and access. Develop an equitable and inclusive learning and student support environment that increases fall-to-fall persistence rates to 58 percent for all students. Continually improve instructional programs with an emphasis on equity and inclusion. Provide equity focused student services support that address the diverse financial, social, and personal needs of all students. Develop learning environments that encourage equity and inclusion and increase diverse student engagement. Create an environment of excellence, equity and inclusion for all faculty, staff and administrators. Achieve equitable results in completion and increase annual credential awards to 15,000 by 2030 to improve transfer and employment outcomes for all ACC students. Increase credential attainment and close gaps for underrepresented students enrolled at ACC. Provide services/resources to address barriers to transfer so that all students may pursue baccalaureate options. Provide career services to students to increase equitable employment and facilitate their transition to the workplace. Increase collaboration with community, government and industry partners, who appreciate and encourage diversity to advance inclusiveness in the regional economy and community. To ensure an organizational environment that promotes equitable student and employee success through effective and efficient operations and infrastructure. Improve communications for all stakeholders. Formalize selection and integration of end-to-end technology processes and solutions. Develop comprehensive and equitable human resource management programs. Optimize operating efficiencies and effectiveness. Enhance the learning and working environment with equitable and accessible facilities. Increase collaboration with service providers who appreciate and encourage diversity, equity and inclusion in their business practices. ACC’s Board of Trustees approved the 2017-2021 strategic plan in January 2017 with three overarching goals that align with the college’s transition to guided pathways and focus on student success. Each goal included detailed objectives, tasks, metrics, and specific targeted outcomes. In February 2019, Trustees approved updates to the 2017-21 Strategic Plan. As part of our ongoing work to achieve equity at ACC, the updated plan ensures a greater focus on equity and inclusion with the addition of clear targets to measure our ability to serve students. Additionally, a fourth goal was added to help everyone to see themselves in the plan. Austin Community College’s Board of Trustees recently approved a strategic plan to guide college operations through 2021. A draft of Austin Community College’s 2017-2021 Strategic Plan is posted online for faculty and staff to view. ACC recently unveiled its new Academic Master Plan. 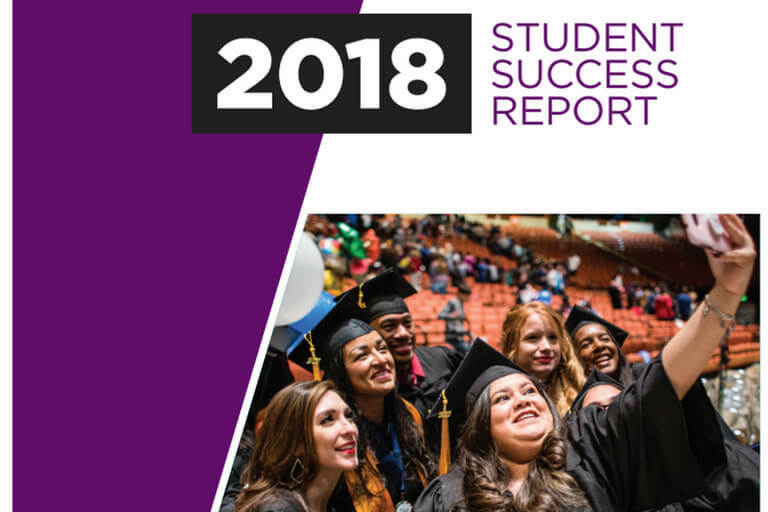 The 2018 report explores access and entry, persistence and engagement, and completion and transfer/employment. Join ACC for campus conversations about our Strategic Plan priorities, progress toward achieving our goals, and next steps for future planning.